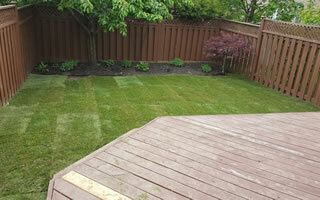 Landscaping and Lawn Care Grand Valley To Mississauga ON. 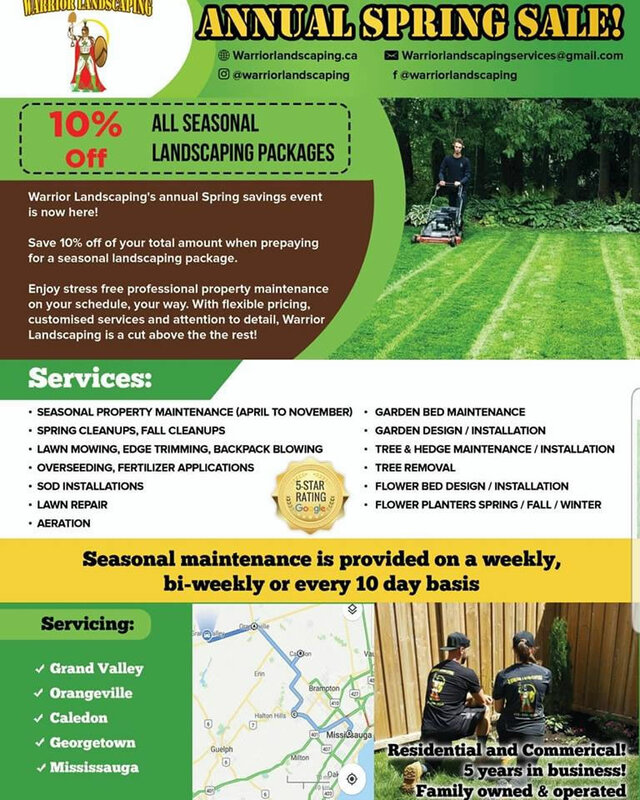 Warrior Landscaping is a locally family owned landscaping and lawn care company based out of Grand Valley, ON. Serving Grand Valley, Orangeville and Mississauga. 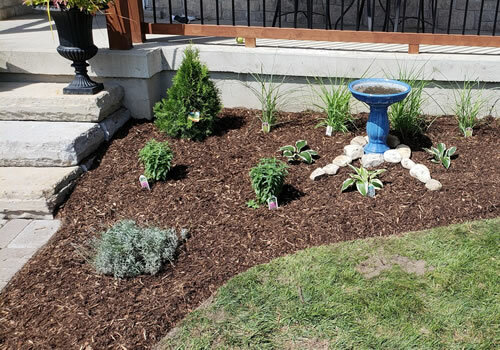 Since 2008 we've been helping our clients improve their curb appeal with services like lawn installations, lawn care, gardening, and property maintenance. 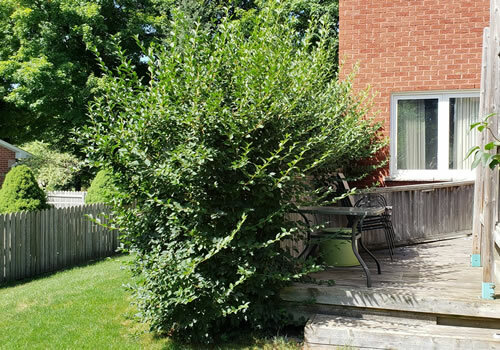 We serve both residential and commercial customers who need a higher level of attention and care for their property. 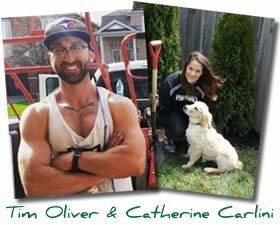 Tim Oliver (owner) and Catherine Carlini have over 18 years combined experience in the local landscaping industry and can come up with landscape solutions to make your property stand out for all of the right reasons. If you'd like to schedule an estimate please call (416) 316-9223 or fill out our online contact form and we'll get right back to you. 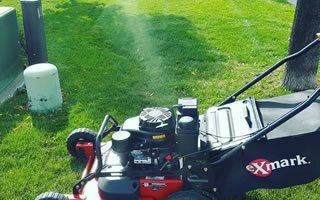 We provide high quality lawn care and lawn mowing services for residential and commercial properties. 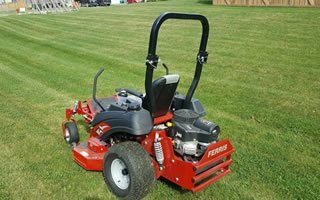 We use top-of-the-line professional grade equipment so your lawn areas will always look great. 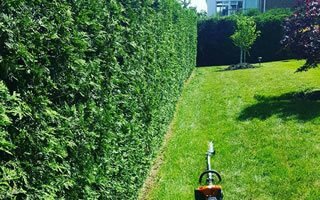 Trimming your hedges can be a very big job, especially if the hedge is mature and hasn't been tended to in a while. The Warriors can tame the wildest hedges and reign them back into a manageable state. 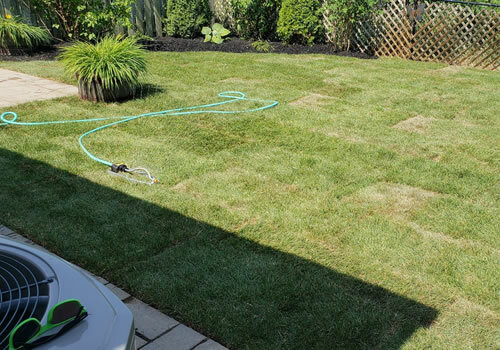 Need to install a new lawn on a newly developer property? 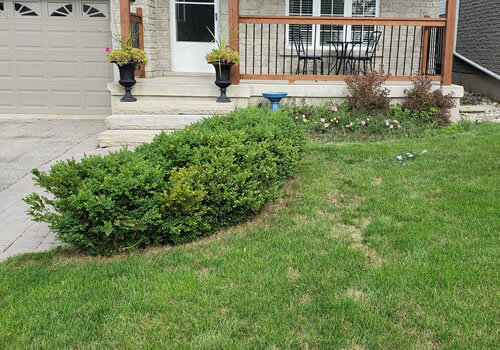 Do you want to replace an existing lawn that is in really bad shape? 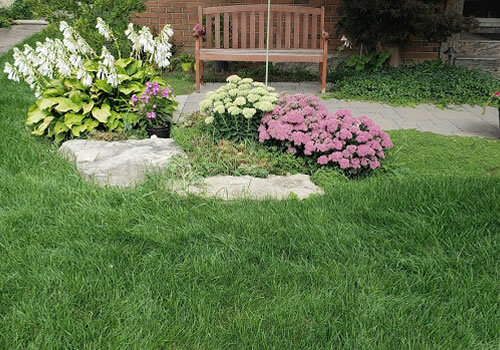 We specialize in beautiful new lawn installations using both seed or sod. 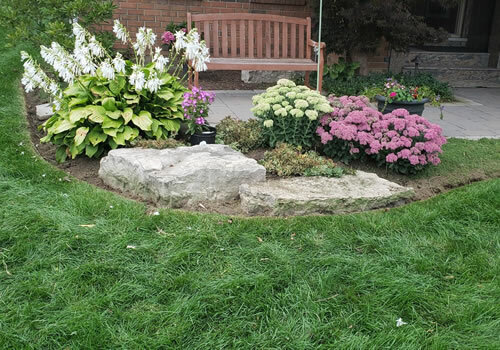 We provide a variety of professional gardening services including garden bed construction, flower garden planting, garden mulching and regular garden maintenance and bed clean up services. 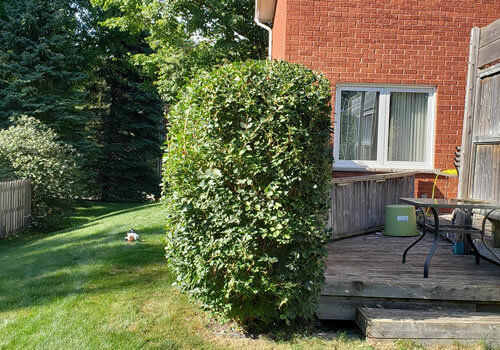 If you have a large residential property, manage a home owners association, strata, or commercial property we can tailor our maintenance solutions to best meet the needs of your landscape. 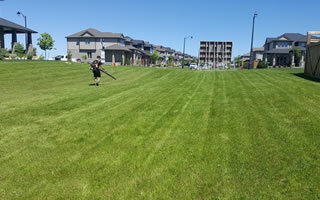 If the appearance of your commercial property is important to you don't settle for mediocre lawn care. 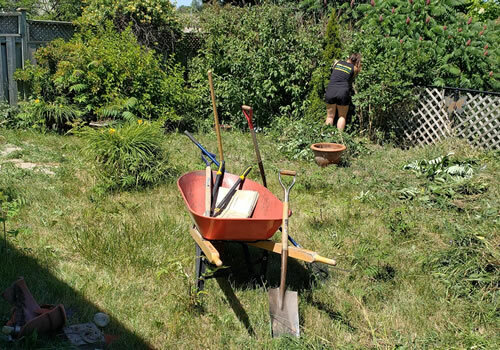 The Warriors can expertly care for commercial lawns of all shapes and sizes. Landscape Materials Calculator - How Much Material Do You Need? 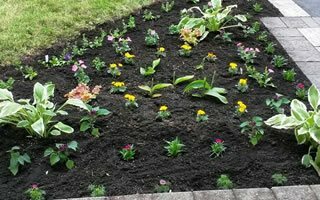 If you have an upcoming landscaping project such as the installation of soil and mulch in garden beds or maybe the installation of brand new lawn you'll find our handy landscape material calculator friendly and easy to use and it will help you calculate the amount of material you'll need for any shape! 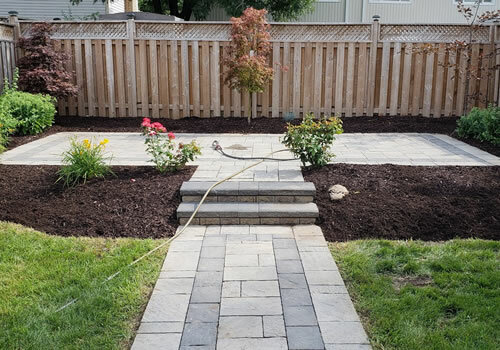 Why Should You Choose Warrior Landscaping? 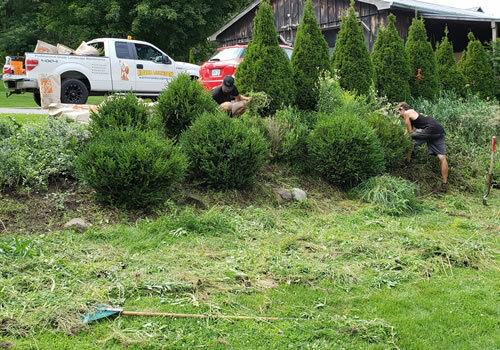 When you choose Warrior Landscaping to care for your lawn, garden or landscape you are partnering with a small, locally owned, family run business. 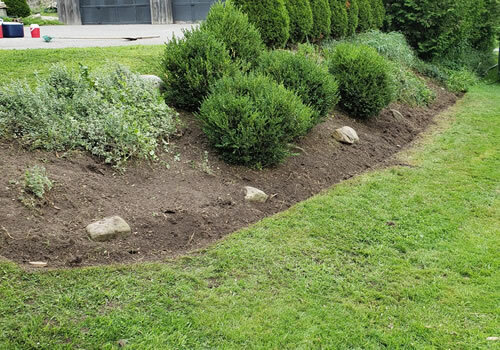 We’re large enough to take care of all your landscaping needs but we’re still small enough to give your property the specific care and attention it needs to make a big impact on your curb appeal. 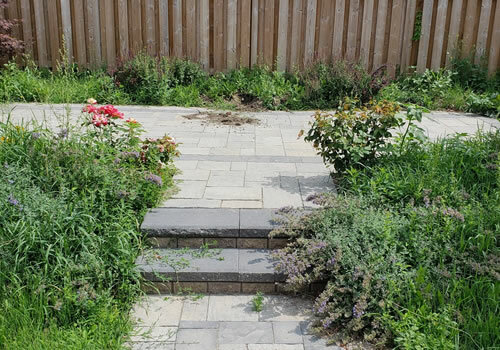 If you’d like an estimate for your landscaping or lawn care services please give us a call (416) 316-9223 or fill out our contact form and we’ll get right back to you.